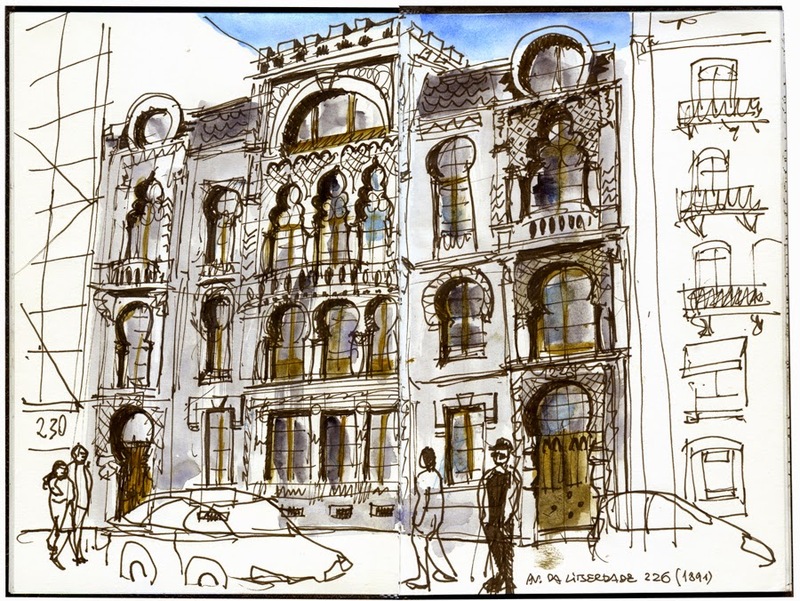 Like in many cities around the world, many of the buildings in the centre of Lisbon are decaying and, sometimes, empty. Wrong urban policies have driven people to the outskirts of town to live. 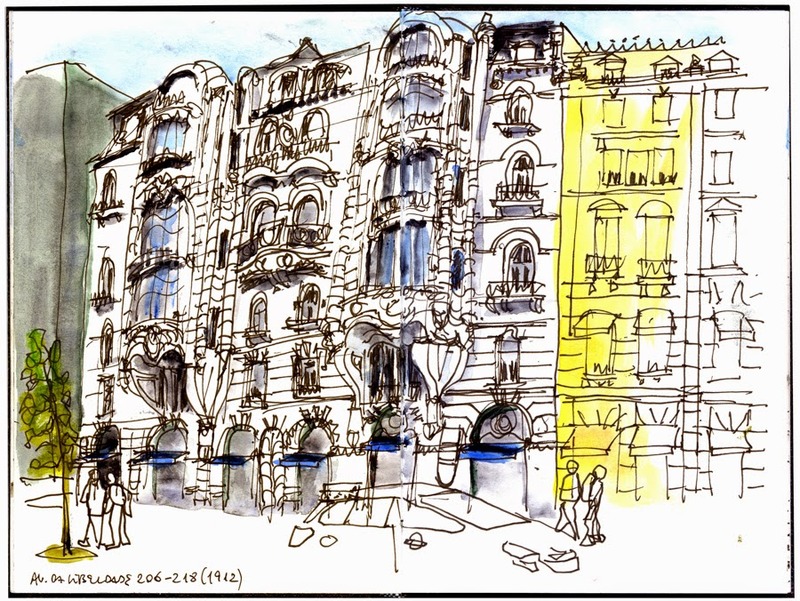 The USkP have been asked to draw same of these buildings in risk of being demolished and replaced by new ones. 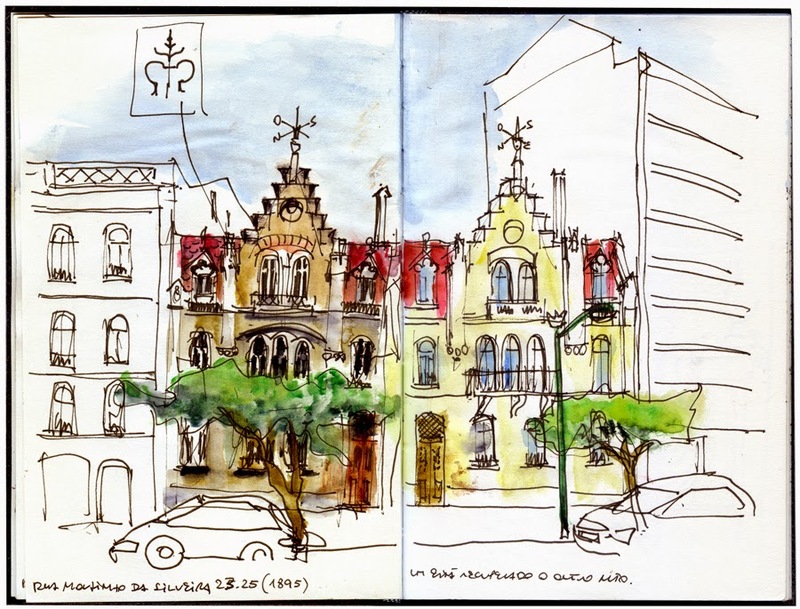 The drawings, printed in bigger dimensions, will be in exhibition in the Lisbon City Museum. 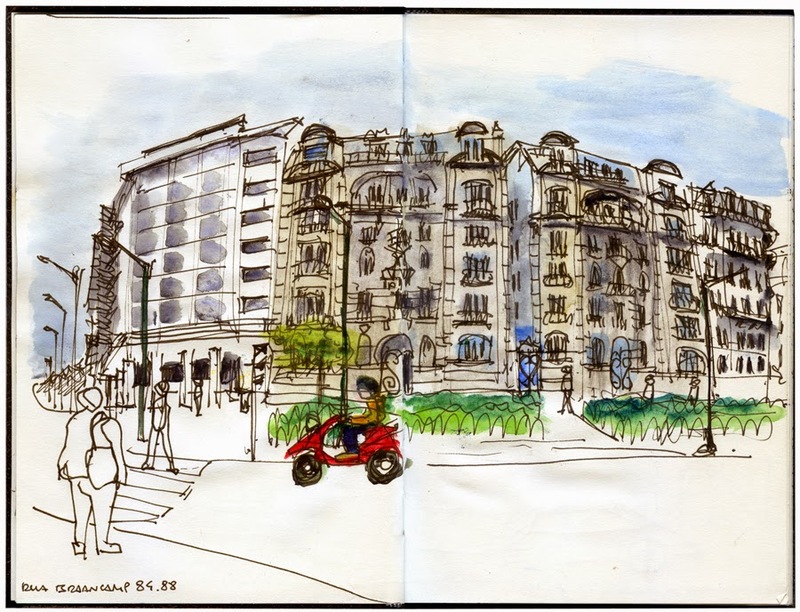 For more drawings from the Portuguese Urban Sketchers see here.